Certified copies of documents may be needed as evidence in court or for your everyday life. For example, if you're starting a new job, you might need a certified copy of your birth certificate when you are filling out your employment forms. You can obtain certified copies of public documents and vital records from the government agency responsible for those documents. If you need a certified copy of another document, your state may permit you to use a notary to certify a copy of the document. State law varies on whether notaries can certify a copy of a document and how a copy can be certified. 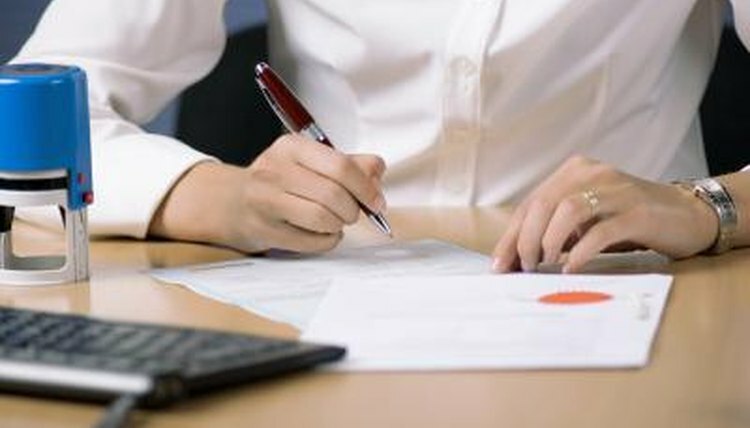 Some states permit notaries to use the comparison method -- the notary can certify that a copy of a document is, in fact, the same as the original. More states permit the notary to make the copy or witness someone making a photocopy of a document and certify that the resulting copy is the same as the original. If you are making a copy of the document, the notary is only certifying that the copy is identical to the "original" presented to the notary, not that the original is accurate. For example, a notary may certify that a copy you make of what you claim is your father's will is the same as the "original" will that you presented to the notary, but the notary is not certifying that the original will is actually a valid will. Tennessee Department of Health: How Do I Get My Certificate? Kennan, Mark. "How to Certify Copies of Documents." , https://legalbeagle.com/6591541-certify-copies-documents.html. Accessed 26 April 2019.